The following are the three options, through COM port (RS-232 Serial Port), through USB port and using the USBDM interface. Attention! The COM port has no output for powering any devices (unlike USB). In this scheme, to supply the electronic circuit boards were used the signal outputs of the COM port. Depending on the computer, power from the COM port may not be enough. In this case, we need to organize the power of the board separately. For example, from the battery to 4.5 Volts, as shown in the figure below, or from the 9-volt battery. Can also be used as a power supply positive pin from the USB port on that computer. But in any case it is impossible in this circuit provide power supply 220 volts! 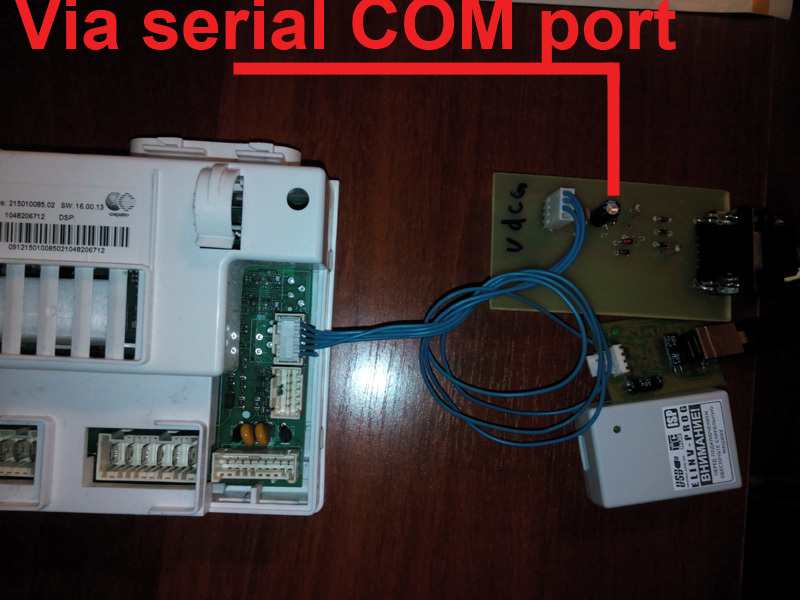 The following picture shows the connection of the ARCADIA PCB via a homemade programmer device for COM port, powered directly from the USB port of +5. Programming device USB Elinv Prog (connect via USB port), performed on the chip FT232RL. 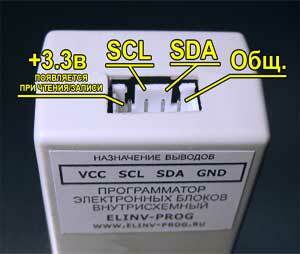 Price USB Elinv Prog is 1700 RUR. The cost of shipping to your country we can clarify. You can purchase it on the manufacturer's website, or order here when buying software Sky Prog Programmer. Author of the Sky Prog Programmer software is not related to the development and production programmer USB Elinv Prog. Please note that the Elinv Prog device have only output power supply 3.3 Volts. 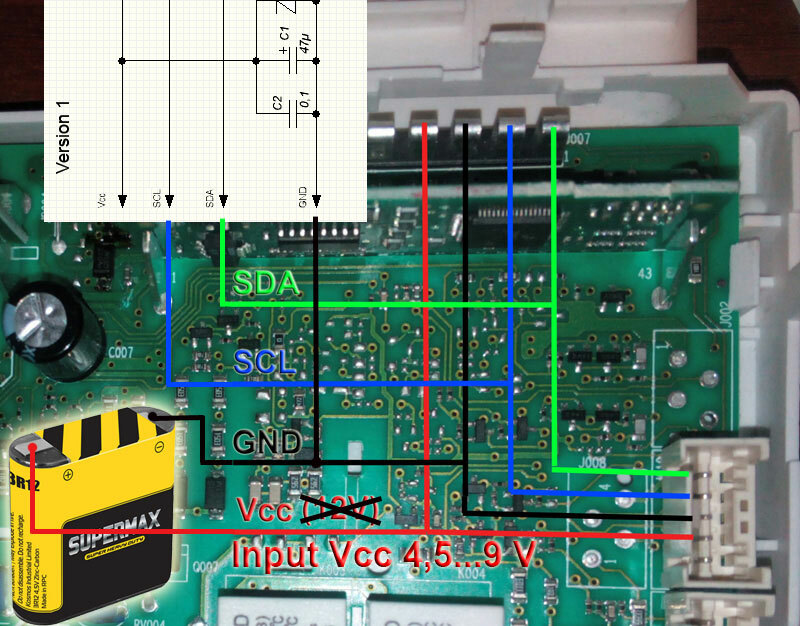 This voltage is not enough when connecting to the specified points to the electronic board. 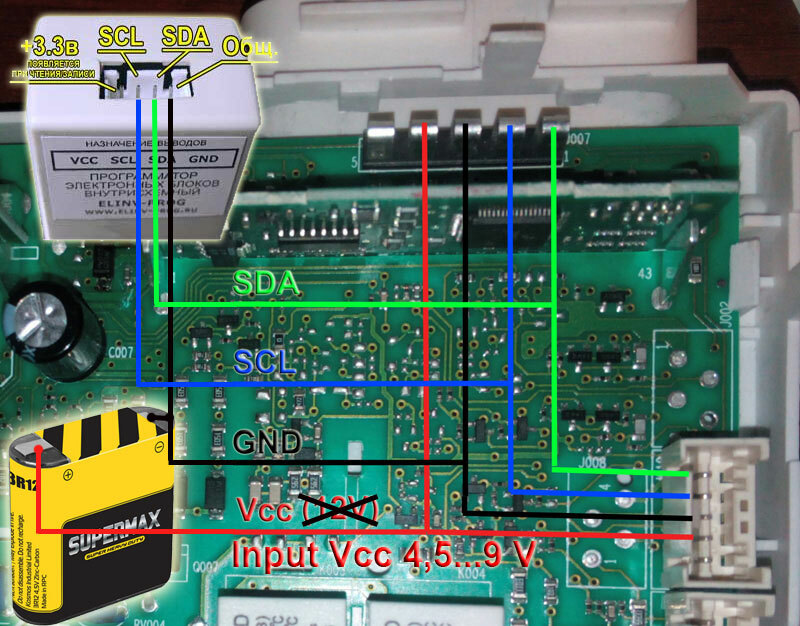 Power supply of PCB you need to organize separately, suitable, for example, 4.5 Volt battery or 9 Volt battery. Can also be used as a power supply positive pin from the USB port on that computer. 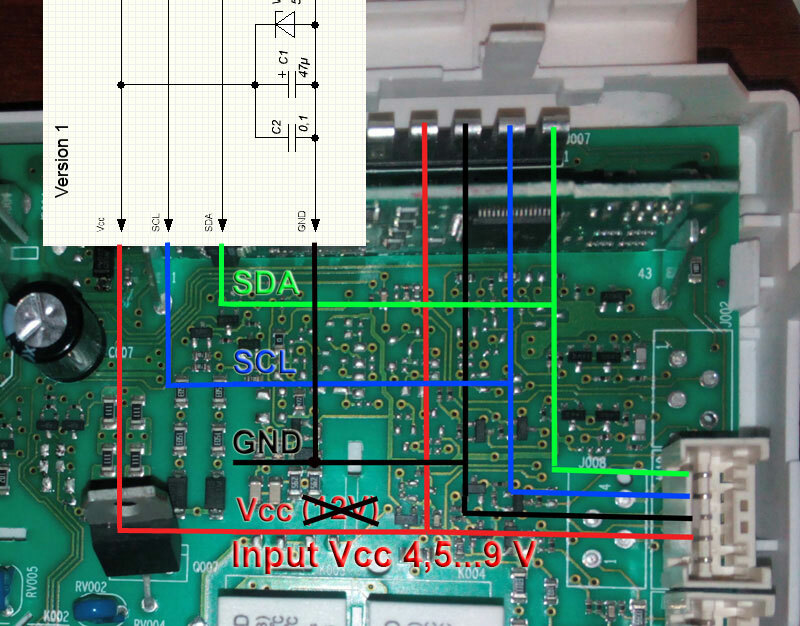 The following picture shows the connection of the ARCADIA PCB via USB Elinv Prog, powered directly from the USB port of +5. 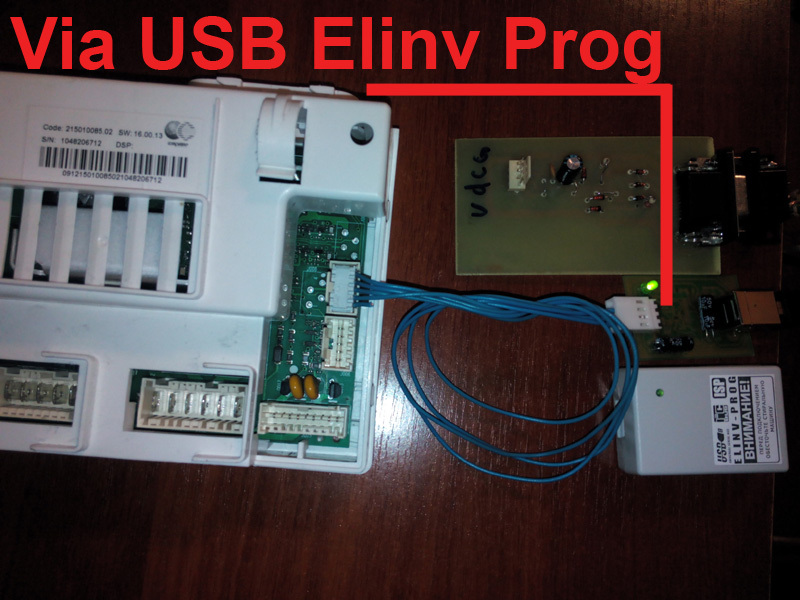 In the Elinv Prog package there are three adapter: for washing machine Candy, washing machines Atlant and any free soldering. 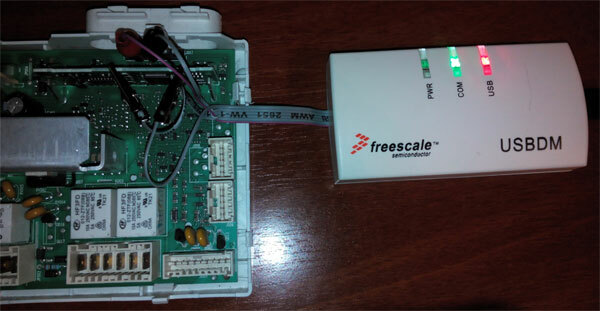 With USBDM tool you can read and overwrite the entire FLASH memory of microcontrollers FREESCALE that are installed on most electronic modules ARCADIA. The sky prog programmer can read and write all flash memory on freescale microcontroller MC9S08GB60/MC9S08GB60A via USBDM interface. 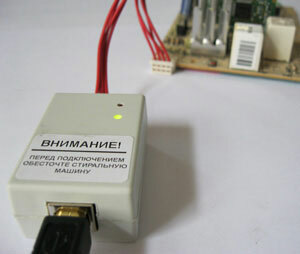 Version of the Sky Prog Programmer with support for USBDM can combine flash and config (configuration for the model) to record in a MCU flash memory and save in the format .S19 (a so-called Converter S19). To convert conveniently a simple drag and drop desired files to the program window or selecting the desired firmware from the built-in database. After read the flash memory, you can view error statistics (for washing machines only). If in the program settings Sky Prog Programmer in the MAIN tab there is a message that USBDM is not found or library not found for USBDM, then you need to install/reinstall the USBDM software and USBDM driver. The program has been tested by the author with software version USBDM 4.10.6.80 (file USBDM_4_10_6_80_Win.msi). If there is a message that the firmware USBDM the device is out of date, then you need to update it. For this you need to run the application "USBDM Firmware Updater" which is supplied with USBDM software. Extract the help file from the archive! Below is a video work by USBDM.